Posted on by Toni Carlstrom. On this beautiful spring day, team members are concurrently working on testing our previous car and constructing our new car. Tests of solar cell efficiency, stress and strain in suspension members, and pull-out strength for our carbon fiber chassis panels have been running smoothly. Suspension testing is focusing on finding stress and strain in the a-arms, which connect the upright to the chassis. The strain experienced by the members can be used to find the forces acting on the tire at the contact patch with the ground. The team currently designs its vehicles for a worst case senario of a 4G bump, 1G turn, and 1G braking load. These tests will give the team knowledge of the actual loading seen by a vehicle driving down the road. Mechanical team member Chris Torres sets up a test on Centaurus IIIs suspension. A strain gauge is numbered and attached to the upper a-arms of Centaurus III. In addition to suspension testing, Aero team was in the shop today to complete a layup for a removable array panel. 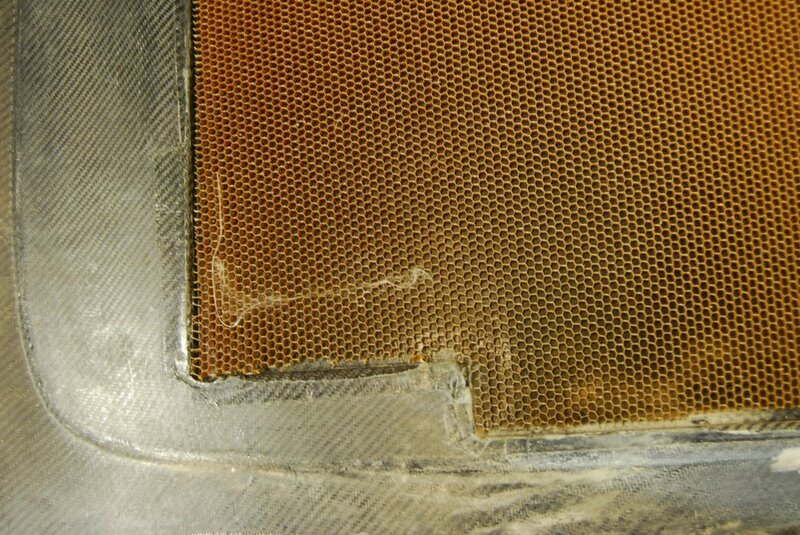 The panels are made of fiberglass to avoid shorting the solar cells. Carbon fiber is electrically conductive, so the team is careful to ensure that all electrical components do not have direct contact with the carbon fiber shell and chassis. The team laid up sharp offsets into the shell, so that panels, doors, windows, and other openings can be filled with separate panels. Those separate panels have a better chance of having good seam lines than if the team just cut out the doors from the shell. This is important for aerodynamics! Our molds have endured the trip to and from the Delta composites shop, and are now being put to more use for laying up our panels. Stay tuned for updates as we manufacture Eos! Core is laid out for a removable array panel. 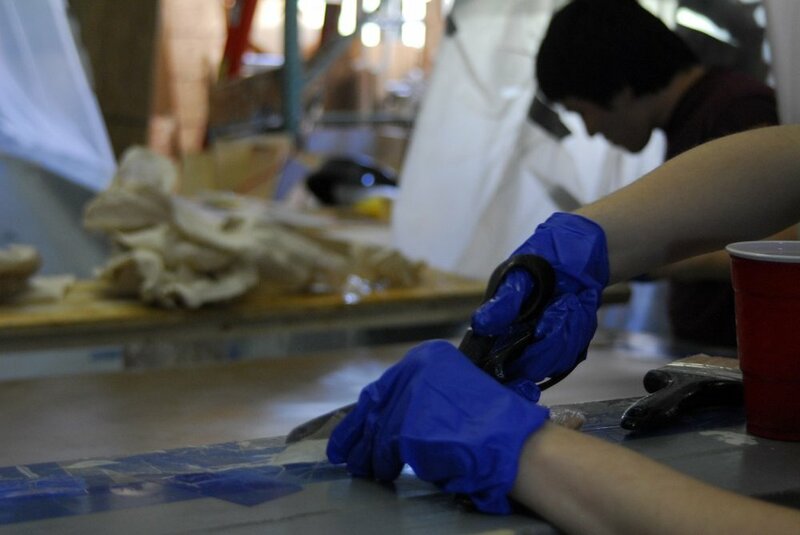 A team member cuts off excess fiberglass from a panel layup.